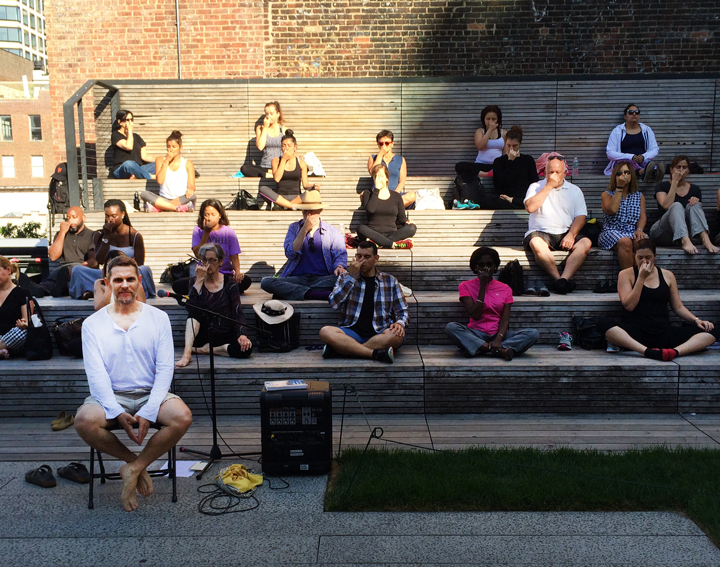 NYC – Tim leading the public meditation on the High Line for Integral Yoga. Why consider private meditation instruction or guidance? In all our earnest efforts to grow and experience peace, we sometimes forget that meditation is a state of non-doing. 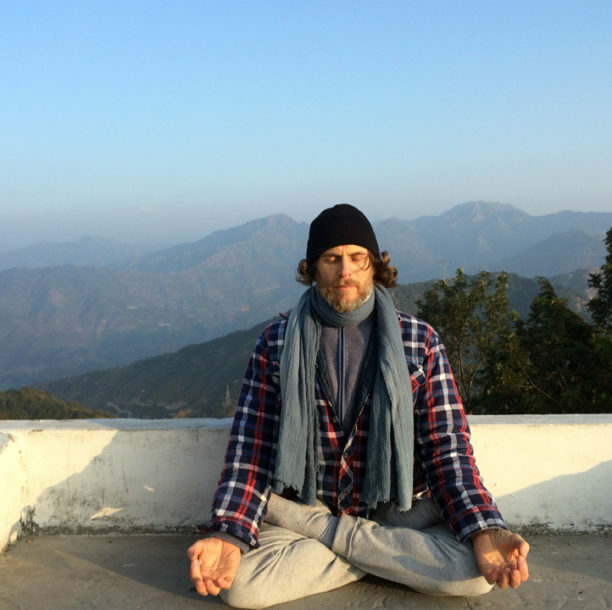 Because it is hard for us (or seemingly impossible) to “not-do”, there are many classical yoga techniques, documented by the ancient sages and rishis, to help us concentrate our thoughts or attention. These efforts in concentration eventually lead to longer and longer moments of effortlessness. For beginners and people who feel like they’re “just not getting it,” it can be helpful to meditate under the guidance of an instructor (like myself) who can demystify the process, and explain the logic behind concentration exercises and pranayama / breath control. The many benefits of meditation include lowered stress and anxiety, clarity of thought, self-awareness, selfless thoughts, anti-depressant effects, better sleep, and many more. Why are we drawn to meditation? This isn’t necessarily easy to answer in strictly rational terms, and in the same way, it isn’t easy to identify all the benefits in rational terms, or even in words. Beyond all the benefits we can list, we know it works for us. The experience tells us so. India: Early morning meditation at Kunjapuri Temple, Himalayas.